Had Darin and his sons out Friday morning for a fishing charter out of St Pete Beach. After baiting up we ran out of Pass-a-grille inlet and into the Gulf due west of St Pete Beach. 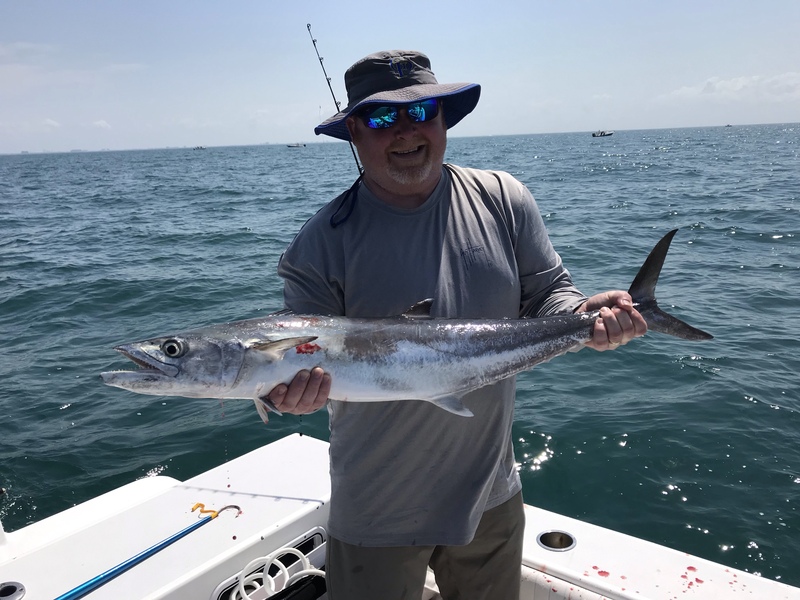 Within sight of condos like the Trade Winds and the Don Cesar, we started trolling our live baits for kingfish. It did not take long for us to hook up and the action never really slowed down. 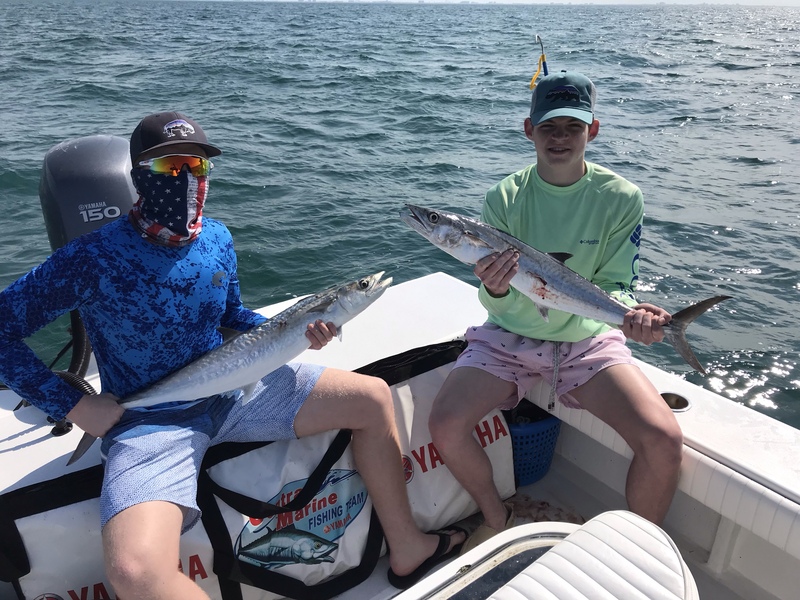 We had multiple doubleheaders and filled the box quick with kingfish from 10-20 pounds. 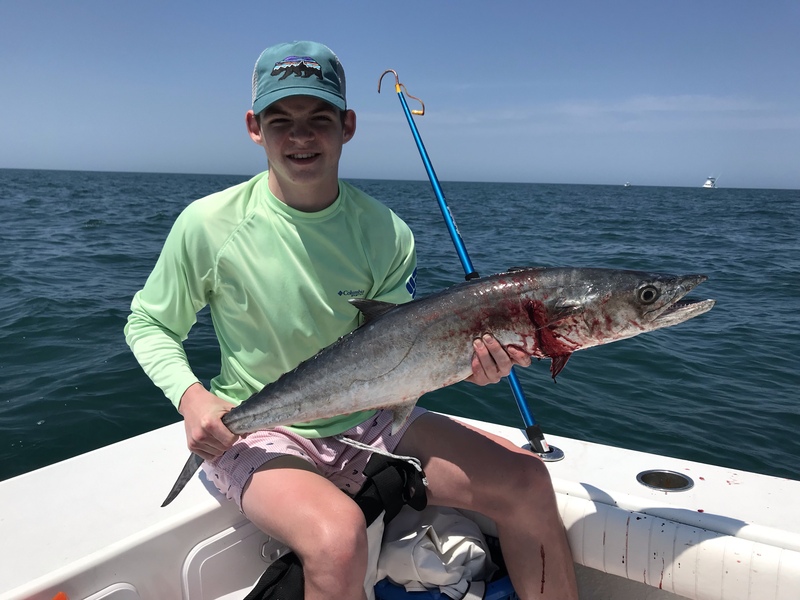 Being able to catch these trophy fish with your hotel room in the background is something special, and not bad for a half day fishing charter! After cleaning their catch they took their fish to legendary local restaurant Ted Peters to have their kingfish smoked. Ted Peters is located just off St Pete Beach and is a must visit restaurant for some old fashioned nostalgic smoked fish dinners that made this area famous – plus they will cook your catch for you! 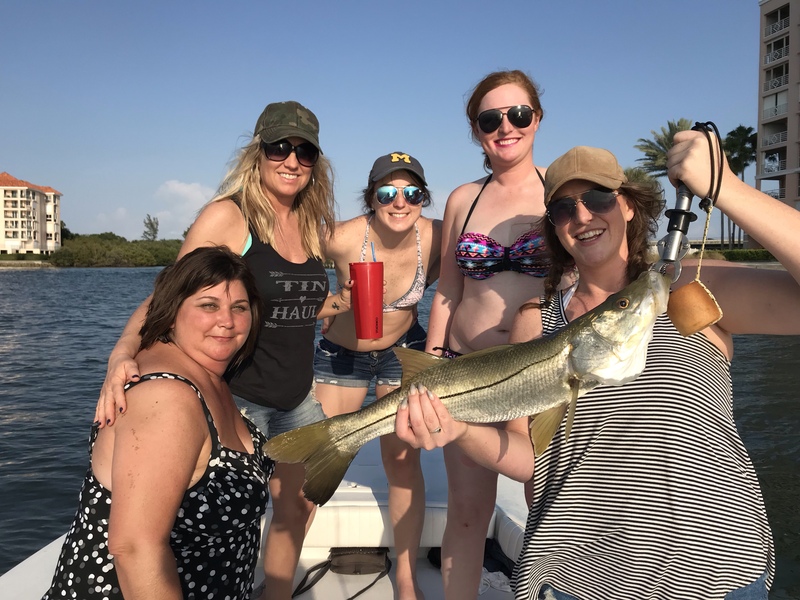 My afternoon fishing charter was a group of ladies from Ohio and Michigan for Zoe’s bachelorette party. Conditions weren’t ideal and we had to work for our bites a little harder. 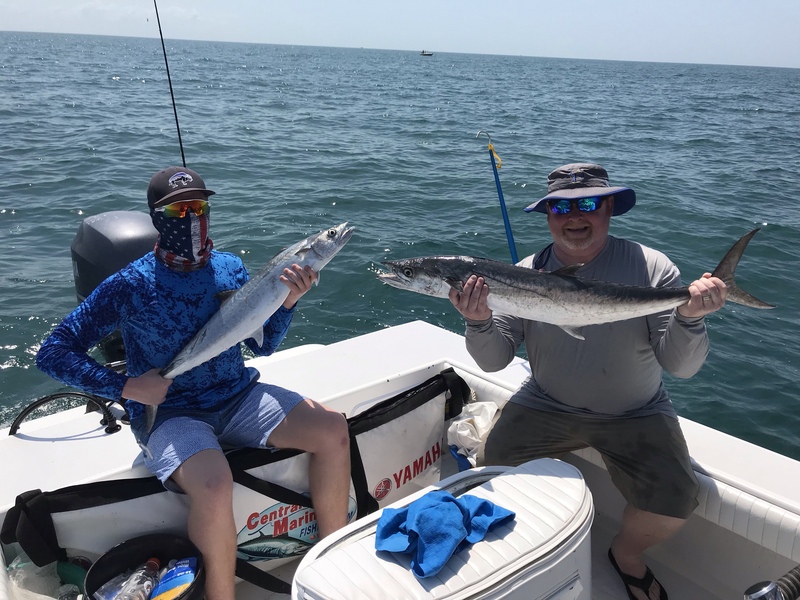 We fished inshore around Fort Desoto and Tierra Verde and caught spanish mackerel and snook. 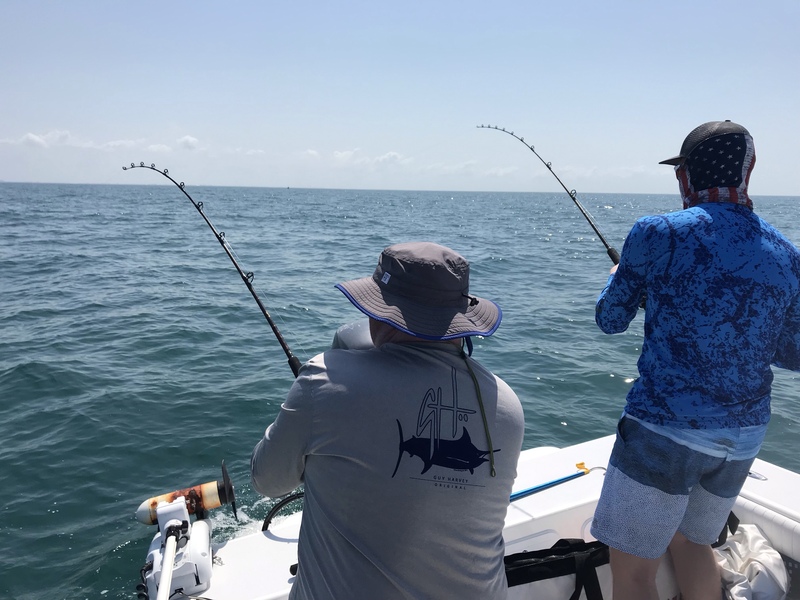 When fishing is tough, it’s important to remember that these trips aren’t just about catching fish. We had a great afternoon with lots of laughs and a rode in with a beautiful sunset behind us.